Create a huge variety of dazzling nail-art designs with this great all-in-one set of brushes and nail-art supplies! ☑️ IDEAL FOR - Producing dots and daisies on nails.Can also be used to create a marble effect with paints.A perfect tool for women who love make-up. ☑️ EASY NAIL ART DESIGN IDEAS- Create a huge variety of dazzling nail-art designs with this great all-in-one set of brushes and nail-art supplies! ☑️ HIGH QUALITY - These Vinmax nail art brushes will not fall apart and the bristles will not fall out. Buy quality once and you can use for a long time. Best for detailed art work. 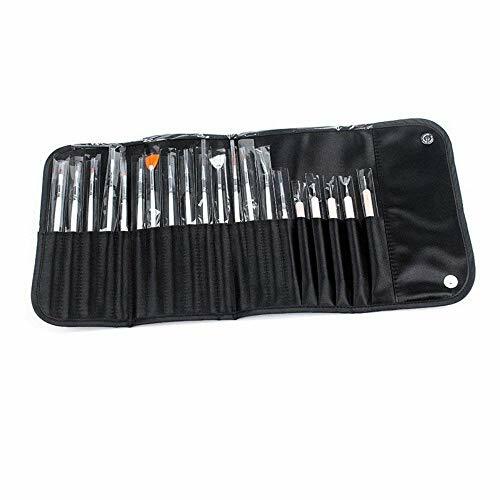 ☑️ FANTASTIC PROFESSIONALS NAIL ART SET -Contain Set of 15pcs nail art design painting drawing brushes,Set of 5pcs nail art dotting tools with 2 ends,meets all you need for perfect nail art. Just as described! Can't wait to use! Nice quality product. My daughter will love it for Christmas.